Professor Ka’ai is the Director of Te Ipukarea – The National Māori Language Institute and Te Whare o Rongomaurikura – The International Centre for Language Revitalisation. She grew up in a family with a cultural landscape drawn from both a Māori and Pacific heritage; she is New Zealand Māori, Native Hawaiian, Cook Islands Māori and Samoan. As an Indigenous scholar teaching and researching in a university, Professor Ka’ai uses the cultural values and knowledge transmitted by her Māori and Pacific elders and mentors as an epistemological framework to inform her academic writing and teaching within the academy. She is respected for her work in indigenising the academy and the validation of indigenous knowledge and methodologies within the academy. She is also respected by indigenous communities for her leadership and for ensuring that communities benefit from the research and projects the Institute and Centre undertake, making as many digital resources as possible free to access. Professor Ka’ai has been involved in Māori language revitalisation interventions for almost 30 years and her research and publications reflect this work with community. She has worked in tertiary education for 36 years; 21 of these in university education as a full Professor. 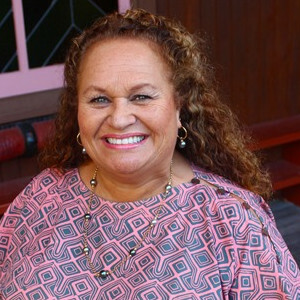 Professor Ka‘ai is known widely for her work in Māori education. and has served on many committees and Advisory Boards throughout her career. She is currently a Board member on the Pacific Education Centre.